The municipality of Lagos covers an area of around 213 Km2 and it is divided in four civil parishes; Barão de São João, Bensafrim. 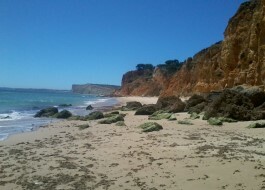 Praia da Luz, Odiaxere, Santa Maria and São Sebastião and has approximately 22,000 residents. Lagos is a dynamic, active city which is proud of its past. In the 15th century the port of Lagos due to the convenient departure and arrival of all vessels that year in and year out came from Africa and went to Africa to explore the continent and bring back exotic products. Lagos is surrounded by seven special beautiful sandy beaches and beautiful rocks from where it is possible fo see wild dolphins in the sea. A sight in Lagos is also the zoo. Lagos has a lively entertainment district with numerous bars and restaurants. Around the square are various shops with a widely range of different items. Every week there is also a market. Also a sight in Lagos is the Zoo. 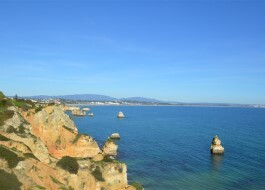 Lagos is one of the few places in the Algarve with a huge promenade along the water. On the boulevard are several seating areas where the night is gorgeous. 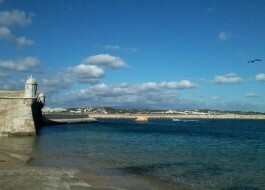 In the summer the artists play here and they will try to sell their goods. 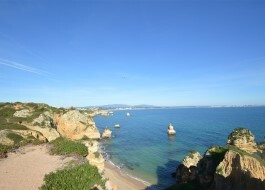 Beside the vibrant centre Lagos has also huge green fields and typical Portuguese houses. 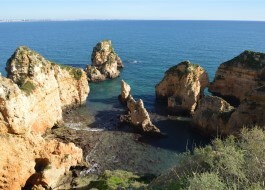 Probably today Lagos is one of the most beautiful areas in the Algarve. Of course, the latest addition not be forgotten, is the Autodromo. This is the newest race track. National and international motor and motorcycle racing take place here. 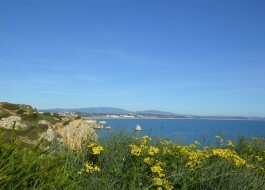 The Motor Bike Worlds Champion in 2009 attracted over 100.000 visitors. Do you like racing? Then this is a real winner. Just outside Lagos is also a go kart race track achieved so you can make a ride yourself. Click on the following link to see all our properties for sale in Lagos: Properties for sale in Lagos - Villas, Apartments & Plots.